Dr. Joi Lewis is a leader in higher education and an example of a change agent for social justice. She graciously agreed to share some of her passion and energy on leadership, diversity and inclusion. I hope you find her words as powerful as I have found my conversations with her! I am honored to write about what I believe leaders in higher education should know about diversity, inclusion, and social justice. These issues are foundational to my life’s work and my core values. As a Student Affairs practitioner-scholar and a social justice activist one thing I know for sure is that as human beings we were created to be in community and be connected with each other, the earth and the universe. I also know for sure that systems of oppression hurt all of us, regardless of our privileged or marginalized identities. Storytelling is a great way to share the complicated nature of these issues and help us to embrace their contradictions. Our stories connect us and remind us of our humanity; they prompt us to build the muscle in our heart that allows us to forgive, heal and experience the hurtful feelings that oppression produces. Here are some of my life lessons in: Life, Love and Leadership. Lesson 1: I will share an often hidden secret: we all have both privileged and marginalized identities but we are most practiced at organizing around the places where we are marginalized. We are keenly aware of the places where we get targeted. For example as a Black Woman, I am very aware of how my intersected identities of race and gender often set me up to get targeted. Lesson 2: Even though I possess some identities that have historically been marginalized, I still have much more work to do around interrupting the places that I have privilege and run my oppressor patterns. The term “oppressor patterns” sounds so harsh; it is not an identity that we are eager to take on. The lesson is that we all have oppressor patterns. Lesson 3: The good news is that even though we all possess oppressor patterns we can use our “special powers” for good and employ our cultural capital to influence institutional decision making that brings greater equity to everyone. That is better than “super powers” and we all have the ability to do it. Decisions we make about budget, who gets promoted, what programs get supported, or what policies are adapted can be used to positively support more people. I was furious! What did he mean, how could he expect that of me? He was asking me to sit in my privilege for those three hours as a Christian and to think about all the privileges associated with the being a Christian (days off for the holidays that I celebrate, Christmas music playing in the malls as early as November, generally no work day on my regularly scheduled worship day of the week, The Bible in hotel rooms, etc.). This gave me pause for the many things I had not considered. We discussed much deeper issues and folks shared examples of how they and their loved ones had been persecuted for not being Christian and their religious beliefs. I heard about the small things that I just don’t notice, like the way auto-type automatically capitalizes Christian, but does not capitalize Muslim. This experience changed the way I looked at my multiple and intersecting identities. Although I do not think playing a game of oppression Olympics is useful, it is important to note that all of our identities matter. It is important for me to do my work around places where I have privilege, not only personally, but also in my role as a leader. This work allows me to have compassion for others who may have a privileged identity that I do not possess and who are sometimes unaware of how their privilege may be running negatively in my direction. Further, it is helpful to have this lens as leaders when we are making critical decisions that affect our staff and students. We must be aware of how our privilege may make it difficult for us to see how we may run our oppressor patterns towards others. Build authentic relationships across differences. Pursue opportunities to place yourself in situations where you are not in the privileged group or the majority. Read books and articles that will stretch you. Embrace discomfort, this will spread the discomfort and lighten the load for those who may feel marginalized. Do take this work seriously, but don’t take yourself so seriously. Finally, know that this work is a process not a destination. You will make mistakes, get disappointed, have hurt feelings, laugh, cry, get angry, laugh, get upset, laugh and smile, mess-up, laugh again. Just keep at it. Repairing our humanity is worth it. Our institutions, our students and our communities are depending on it. I am enjoying this journey of Joi and Pain; please join me as we move forward. Recently I spent time with a colleague who works in diversity and inclusion. I asked her what practical advice she would offer to leaders in higher education who want to enhance their cultural competencies. It was powerful for me that her starting point is community building through trust and commitment between people, similar to our leadership competency of relationship building and trust. She shared the work of Jamie Washington, PhD., Washington Consulting Group who lists two foundations for building a diverse community. I have felt the same way…did something similar…. How do others relate to that comment? Help me understand what you meant by that? What were you hoping to communicate with that comment? How were you impacted when…. I’m noticing I’m feeling…anyone else? I noticed how quiet everyone just got…I’m wondering what is going on for folks? It seems some people were impacted by that statement, am I right? This response is unusual for you….I’m wondering what else is going on for you? When I hear you say that I think/feel…. The dilemma I’m in is…. Where can you add a little Rapping to your leadership style? Leaders in higher education today are facing many challenges. Some of them include: changing demographics, reduced state and federal funding, increased competition for students, and disruptive innovation in technology and learning delivery. These challenges cannot be solved by the same approaches we have used in the past. 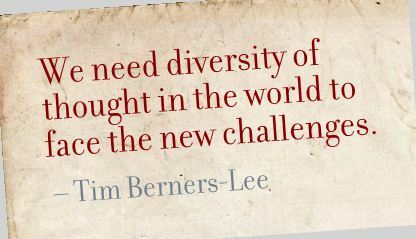 They can only be solved with new breakthrough solutions that are generated through diversity of thought and action. With this in mind, encouraging diversity of thought and seeking diverse perspectives becomes an imperative in our workplaces. But how do we begin cultivating this skill in ourselves and others? How do we stay curious and ask the right questions? Additionally, here are some helpful questions designed by Wendy Morris, Founder of the Creative Leadership Studio. I encourage you to use these questions with a group of your peers or with those whom you lead. I certainly plan on it! 1) Think of a group you are (or have been) part of that has some diversity. Consider who speaks in the group. Who has the most “air-time?” Is everyone heard? If not, what might you do to change it? How could you start to do this right away? 2) How do you respond when someone comes to you with a diverse perspective that differs from your own? How would you like to respond? 3) Have you ever been surprised by a perspective you hadn’t thought of that helped you see things in a new way? What methods have you employed to seek diverse perspectives? When I am a change agent I am proactively taking steps to promote inclusive behaviors, rather than reacting to situations. I am not on the lookout for unacceptable behaviors to confront or shying away from uncomfortable situations. I am purposely choosing to learn more, share more and take action in a supportive way. I have learned that when I confront a colleague or team member it usually leads to anger or retreat and a short term response. If I am able to give feedback in a more respectful manner we may be able to open up a dialogue and discover options for growth and change, in both of us! What causes you to be a fighter or an avoider? Where do you have an opportunity to become a change agent for diversity and inclusion? Listening is a crucial skill for all types of leadership, but it’s especially important for leading diverse groups. A recent blog from Harvard Business Review included some good tips for listening past your blind spots. Authors Mark Goulston and John Ullmen have identified four levels of listening. Level One: Avoidance Listening = Listening Over. At this level, listeners are not seeking to connect. They may not even stop texting! Level Two: Defensive Listening = Listening At. Level two listeners are busy preparing their counter-points rather than seeking to understand the speaker’s message. Level Three: Problem-Solving Listening = Listening To. Problem-solving and seeking solutions can be an effective way of listening – just be sure that’s what the speaker really wants. It’s almost impossible to connect with diverse audiences without giving your full attention. Seeking to listen at level four is a good way to ensure that you are fully present. What techniques do you use to reach level four? We’ve been talking this month about ways that valuing diversity is critical for leaders in higher education. But what does that look like? How can I address the big challenges we face? 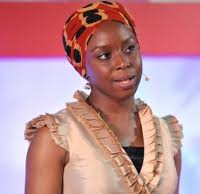 According to the novelist Chimamanda Adichie, one important step is to recognize the importance of stories. In this TED talk, she makes a compelling case that when we only know one thing about a person or a place, we can’t engage in real interactions. People’s lives and cultures are built on many overlapping stories. If all we know about someone is that she was a high school dropout, or that his family was homeless, or that her parents are immigrants, we won’t be able to create the kind of environment that will help them succeed. Early in my career, I supervised a team that included an older woman from a culture differnt than mine. The relationship did not start out well. I realize now that I was telling myself a very small story about her – she was older, we didn’t share a culture, she had difficulty performing some of the work tasks – and I didn’t make the effort to learn more. I thought I was behaving professionally, but I think she found me to be uncaring. Our story had a happy ending. A few months later we both became pregnant, I with my first child and she with her third. Suddenly we had a common bond, things to talk about in the lunch room. This opened communication and created a smoother working relationship. This experience taught me a lot about leading diverse teams. The single story creates stereotypes. And the problem with stereotypes is not that they are untrue, but that they are incomplete. Power is the ability, not just to tell a single story about another person, but to make it the definitive story of that person. I’d encourage you to view the talk, and consider discussing it together in a team meeting. Ask yourself and your team – how can we seek a balance of stories? While 94% of white children are deemed ready for kindergarten, that number drops drastically for children of color, averaging around 60%. This disparity in achievement is a reality across the United States. As a system, MnSCU is poised to help solve this problem. We’ve set some aggressive goals and are making strides toward closing this gap in terms of college readiness and completion. We are one of Minnesota’s best resources for turning this trend around. But there is a lot more work to be done. In order to achieve our goals, the Board presentation stated that we need to have more diverse and culturally competent faculty and staff and create a more supportive climate. This is a challenge for all of us in higher education. The topics we’ve been discussing this month will make a difference for all of our students and for the whole state. If you haven’t seen it yet, I encourage you to view the presentation at http://www.mnscu.edu/board/materials/2013/jan16/bot-studysession.pdf. What is your institution doing to create a more diverse and welcoming environment for our students? Post your ideas and suggestions in the comments section so we can work together to address this problem.